7 The cow will graze near the bear. 8 The baby will play safely near the hole of a cobra. in Babylonia,[e] Hamath, and all the distant coastlands. 13 Then at last the jealousy between Israel[f] and Judah will end. 14 They will join forces to swoop down on Philistia to the west. 11:1 Hebrew the stump of the line of Jesse. Jesse was King David’s father. 11:10b Greek version reads In that day the heir to David’s throne [literally the root of Jesse] will come, / and he will rule over the Gentiles. / They will place their hopes on him.Compare Rom 15:12. 11:11a Hebrew in Pathros, Cush. 11:13 Hebrew Ephraim, referring to the northern kingdom of Israel. 11:15a Hebrew will destroy the tongue of the sea of Egypt. 1 Elisha had told the woman whose son he had brought back to life, “Take your family and move to some other place, for the Lord has called for a famine on Israel that will last for seven years.” 2 So the woman did as the man of God instructed. She took her family and settled in the land of the Philistines for seven years. 20 During Jehoram’s reign, the Edomites revolted against Judah and crowned their own king. 21 So Jehoram[d] went with all his chariots to attack the town of Zair. [e]The Edomites surrounded him and his chariot commanders, but he went out at night and attacked them[f] under cover of darkness. But Jehoram’s army deserted him and fled to their homes. 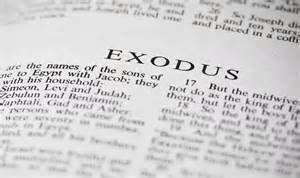 22 So Edom has been independent from Judah to this day. The town of Libnah also revolted about that same time. 28 Ahaziah joined Joram son of Ahab in his war against King Hazael of Aram at Ramoth-gilead. When the Arameans wounded King Joram in the battle, 29 he returned to Jezreel to recover from the wounds he had received at Ramoth. [g]Because Joram was wounded, King Ahaziah of Judah went to Jezreel to visit him. 2 Saul selected 3,000 special troops from the army of Israel and sent the rest of the men home. He took 2,000 of the chosen men with him to Micmash and the hill country of Bethel. The other 1,000 went with Saul’s son Jonathan to Gibeah in the land of Benjamin. Meanwhile, Saul stayed at Gilgal, and his men were trembling with fear. 8 Saul waited there seven days for Samuel, as Samuel had instructed him earlier, but Samuel still didn’t come. Saul realized that his troops were rapidly slipping away.9 So he demanded, “Bring me the burnt offering and the peace offerings!” And Saul sacrificed the burnt offering himself. 15 Samuel then left Gilgal and went on his way, but the rest of the troops went with Saul to meet the army. They went up from Gilgal to Gibeah in the land of Benjamin. [d] When Saul counted the men who were still with him, he found only 600 were left! 16 Saul and Jonathan and the troops with them were staying at Geba in the land of Benjamin. The Philistines set up their camp at Micmash. 17 Three raiding parties soon left the camp of the Philistines. One went north toward Ophrah in the land of Shual, 18 another went west to Beth-horon, and the third moved toward the border above the valley of Zeboim near the wilderness. 19 There were no blacksmiths in the land of Israel in those days. The Philistines wouldn’t allow them for fear they would make swords and spears for the Hebrews.20 So whenever the Israelites needed to sharpen their plowshares, picks, axes, or sickles,[e] they had to take them to a Philistine blacksmith. 21 The charges were as follows: a quarter of an ounce[f] of silver for sharpening a plowshare or a pick, and an eighth of an ounce[g] for sharpening an ax or making the point of an ox goad.22 So on the day of the battle none of the people of Israel had a sword or spear, except for Saul and Jonathan. 23 The pass at Micmash had meanwhile been secured by a contingent of the Philistine army. 13:1a As in a few Greek manuscripts; the number is missing in the Hebrew. 13:1b Hebrew reigned . . . and two; the number is incomplete in the Hebrew. Compare Acts 13:21. 13:5 As in Greek and Syriac versions; Hebrew reads 30,000. 13:15 As in Greek version; Hebrew reads Samuel then left Gilgal and went to Gibeah in the land of Benjamin. 13:20 As in Greek version; Hebrew reads or plowshares. 13:21a Hebrew 1 pim [8 grams]. 13:21b Hebrew 1⁄3 [of a shekel] [4 grams]. 1 These are the names of the sons of Israel (that is, Jacob) who moved to Egypt with their father, each with his family: 2 Reuben, Simeon, Levi, Judah, 3 Issachar, Zebulun, Benjamin,4 Dan, Naphtali, Gad, and Asher. 5 In all, Jacob had seventy[a] descendants in Egypt, including Joseph, who was already there. 6 In time, Joseph and all of his brothers died, ending that entire generation. 7 But their descendants, the Israelites, had many children and grandchildren. In fact, they multiplied so greatly that they became extremely powerful and filled the land. 11 So the Egyptians made the Israelites their slaves. They appointed brutal slave drivers over them, hoping to wear them down with crushing labor. They forced them to build the cities of Pithom and Rameses as supply centers for the king. 12 But the more the Egyptians oppressed them, the more the Israelites multiplied and spread, and the more alarmed the Egyptians became. 13 So the Egyptians worked the people of Israel without mercy. 14 They made their lives bitter, forcing them to mix mortar and make bricks and do all the work in the fields. They were ruthless in all their demands. 15 Then Pharaoh, the king of Egypt, gave this order to the Hebrew midwives, Shiphrah and Puah: 16 “When you help the Hebrew women as they give birth, watch as they deliver. [c] If the baby is a boy, kill him; if it is a girl, let her live.” 17 But because the midwives feared God, they refused to obey the king’s orders. They allowed the boys to live, too. 1:5 Dead Sea Scrolls and Greek version read seventy-five; see notes on Gen 46:27. 1:10 Or will take the country. 1:16 Hebrew look upon the two stones; perhaps the reference is to a birthstool. 1 When his brothers were ready to leave, Joseph gave these instructions to his palace manager: “Fill each of their sacks with as much grain as they can carry, and put each man’s money back into his sack. 2 Then put my personal silver cup at the top of the youngest brother’s sack, along with the money for his grain.” So the manager did as Joseph instructed him. 6 When the palace manager caught up with the men, he spoke to them as he had been instructed. 11 They all quickly took their sacks from the backs of their donkeys and opened them. 12 The palace manager searched the brothers’ sacks, from the oldest to the youngest. And the cup was found in Benjamin’s sack! 13 When the brothers saw this, they tore their clothing in despair. Then they loaded their donkeys again and returned to the city. 18 Then Judah stepped forward and said, “Please, my lord, let your servant say just one word to you. Please, do not be angry with me, even though you are as powerful as Pharaoh himself. 44:5 As in Greek version; Hebrew lacks this phrase. 44:29 Hebrew to Sheol; also in 44:31.